Ultrasonic high frequencies activate skin cells. LED lights can restore skin elasticity. Electrode silver fiber gloves improve circulation. 1、304 Stainless steel surface, anti-allergic, fine polished, no harm to skin. 2、Streamline design, portable handhold, easy to operate. 3、It\\\\\\\'s not only applicable on face shaping, but also on body slimming. DC Ion Inducting Technology is the common method used by hospital and beauty salon. 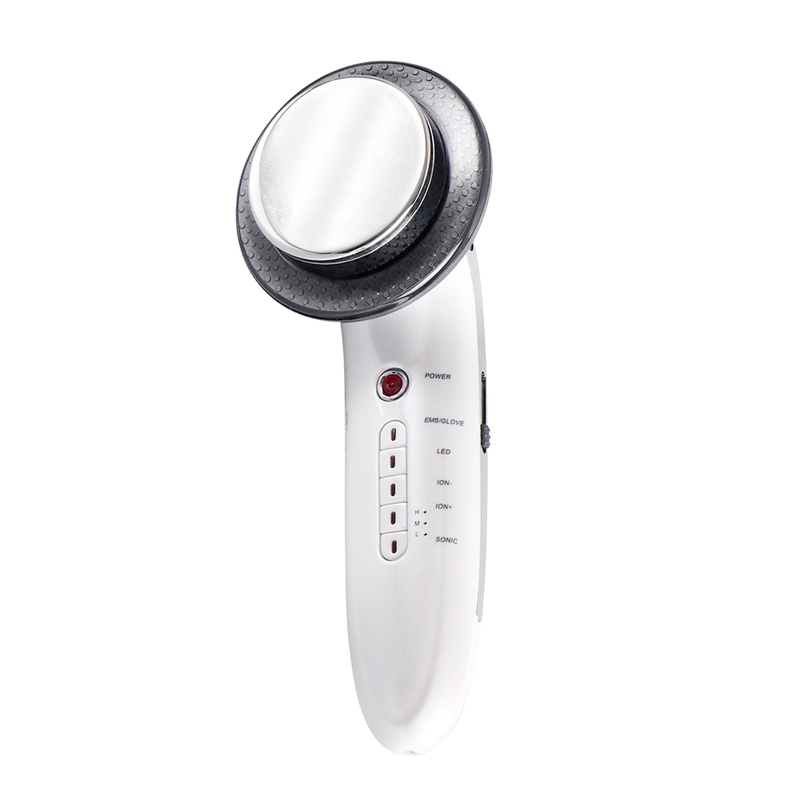 It can form a weak electric field between skin surface and germinal layer, temporarily break the skin barrier layer, remove dirt from pores with the principle of Opposites Attract and conduct essence of different functions(such as acne removing, moisturizing and wrinkles resisting into deep skin with the principle of homogeneous repellent. Replenish effective ingredients into skin which may accumulate surrounding skin cells as ion clusters, promote cells to constantly absorb essence with the absorbent concentrative several and dozens times of higher than extending or oral take. Positive electrode can generate acid achon with the functions of tranquilizing nerves, dropping blood supply in skin, strengthen the fiber tissue of skin, shrinking pores and relieving reddish skin. It is applicable for allergic akin and acne. Negative electrode can generate alkali action, stimulate nerves, promote blood circulation, soften fiber tissue and strengthen firmness, and is applicable for dry and aging skin with slow metabolism.